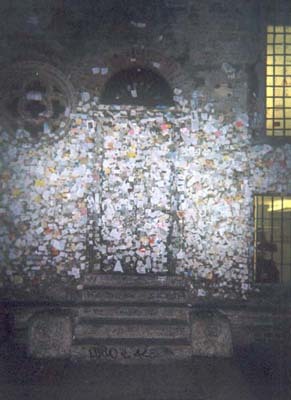 Juliet’s house: Thousands of scraps of paper, all written within the last 12 months, cover the walls of what the local tourist industry has established as the house of Juliet. 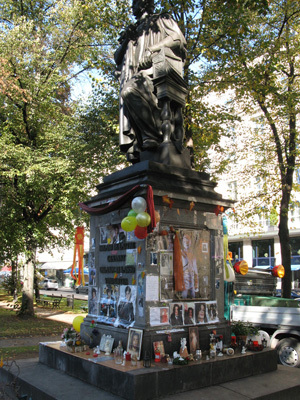 The monument from 1848 in Promenadeplatz, Munich, over the Italian Renaissance composer and singer, Orlando di Lasso, made by Max von Widnmann, turned into a shrine of Michael Jackson. 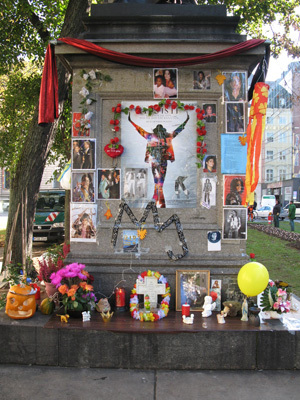 Photographed on October 20th, 2009.